The PRO 150 Display / Programmer is supplied as a single unit which can be broken apart so that the display and programmer can be used and mounted separately if required. These increase/decrease the value being displayed. When the required value is displayed, pressing Select will accept it. The programming system is carefully designed to be easy and quick and intuitive. 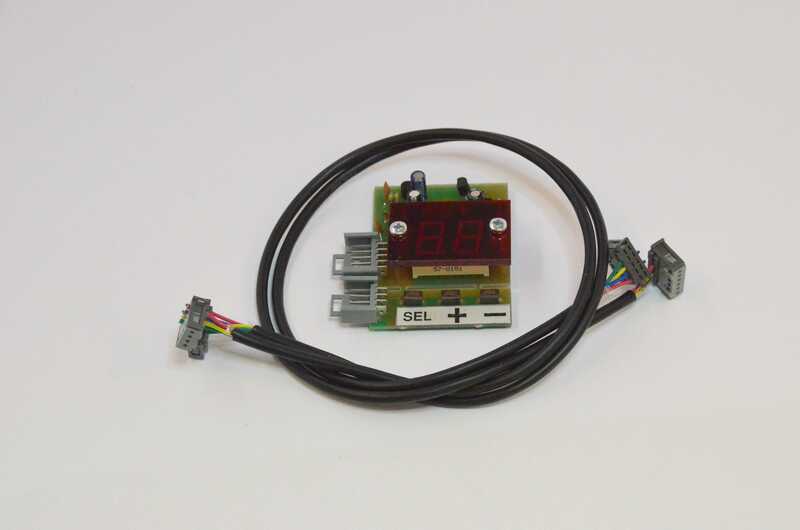 It is fast to program so also well suited to a manufacturer programming production quantities. Programming is fully explained in the PRO-150 manual. 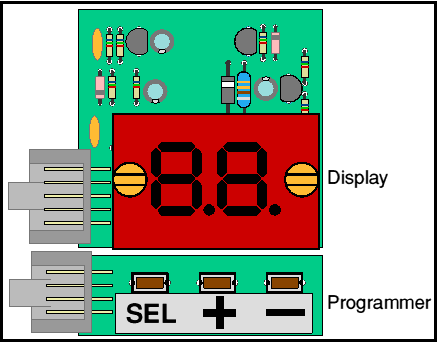 The display connects to a separate connector on the controller using a 4 core cable. However two of these wires are already present in the controls, so an alternative wiring scheme is possible. It is supplied with 2 x 50cm wires to connect it to the controller, if you need longer ones please ask.